It’s that time of the year again. Christmas time, winter time, and cold weather combine to bring us some of the most flavorful and tasty beers of the year. Yep, it’s holiday beer season, and that means a bunch of ‘winter warmer’ type beers that are full of wonderful spices, really good body, and often a touch of higher ABV to help get you through those long winter nights. Every year, some of our favorite breweries roll out a holiday seasonal beer that we can’t wait to get our hands on. This year is no different as breweries such as Free State, Deschutes, Boulevard, Sierra Nevada, Anchor, Bells, Schlafly, and many others have produced holiday seasonals that are worth a trip to your local liquor store. If you’re wondering what some of the ‘experts’ think are the best Christmas beers out there, here is an article to help find that right one for you. Christmas is my favorite day of the year, but a close second might be the day we do our annual Christmas beer tasting. And this year was our best yet. We doubled the number of contenders, but rather than just give you a round-up of the ones we tasted this year, we’ve compiled a list of the best we’ve ever had. If you’re at least 21 and you’ve been particularly good this year, maybe Santa will leave one of these beers in your stocking. If you’re European, Father Christmas and Papa Noel might hook you up at 18. And if you’ve been bad, well, some of these Christmas beers with double-digit ABVs may be partly to blame. These are all Christmas-themed beers, not just your winter warmers and white IPAs, which we ranked here. If there wasn’t a tree or an elf or a drunken Santa or at least a demonic Christmas beast, it wasn’t considered. Special thanks to our guest judges Beer Street Journal’sReid Ramsayand CNN.com beer writerGreg Bowman along with Greg Eckert who helped write up a few of the verdicts after tasting some on his own. We limited the results to one beer per brewery (Southern Tier’s 2XMAS beat their also great Krampus) and this year’s tasting also included Blue Moon Gingerbread Spiced Ale, Rogue Santa’s Private Reserve, Boulevard Nut Cracker Ale, Breckenridge Christmas Ale and Goose Island Sixth Day. The verdict: Part of the brewery’s Uncharted Waters series, Yule Tide is one of the most flavorful red ales we’ve tasted—thanks to ginger and vanilla notes and the rum-barrel aging. The verdict: I know several people who refer to this wonderful IPA as their favorite Christmas ale, but those people 1) are zealous hop-heads and 2) apparently don’t like Christmas ale. 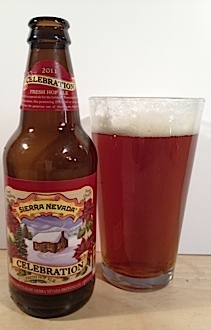 Sierra Nevada plays to its strength with an IPA whose citrus notes recall your Christmas days back in Miami with the pink-frosted tree, singing carols along the beach. The verdict: This low-gravity Scottish ale is smooth, mild and well-balanced while still hinting at those familiar Christmas flavors. The verdict: The followup to last year’s Merry Mischief, Merry Maker Gingerbread Stout is a delicious beer and probably the best value on this list, as it retails for about less than half of some of the others. The gingerbread taste comes through strong, with a smokiness that hints at some of those gingerbread men getting a little overdone. The verdict: The ancient German altbier isn’t a particularly common style among American brewers, but Ninkasi is celebrating the season with a unique double alt ale. Since Christmas doesn’t necessarily mean the same to everyone, we applaud the Portland brewery’s left-field choice here. The verdict: This bold, rich ale is full of roasted malts. The cinnamon and mace aren’t overpowering but bring a little Christmas cheer to go along with the malty goodness. The verdict: Inspired a party where Glögg, a Scandinavian hot mulled wine, was served, the breweries at Southern Tier decided to make a beer with figs, orange peel, cardamom, cinnamon, ginger root and clove. 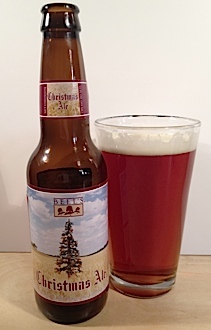 The winter spices are aggressive, but this is a Christmas ale, so we don’t mind at all. The verdict: Made by Brewery Huyghe, this delicious beer comes in an equally lovely bottle—ceramic with a pink elephant in a Santa hat. The caramel, dark fruit and spice notes hit you right up front. The verdict: The spices bring this beer alive—coriander, cardamom, mace and grains of paradise, with just a hint of orange peel. 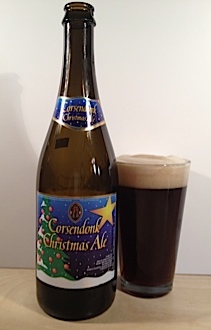 But at its heart is a traditional Belgian Christmas ale. 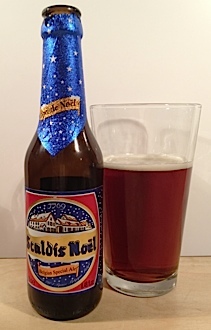 The verdict: Bottles of Scaldis Noël are visions of sugar plums that I have dancing in my head on Dec. 24. Extreme sweet, malty flavors make this more like dessert than beer. The verdict: So much yum. The Pennsylvania brewery uses cherries, honey and chocolate malts for a delicious dessert-y beer that can hang right there with the Belgians. Perfect for: Drinking with people you love. No, really love. 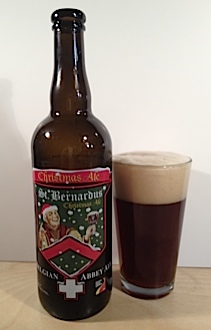 The verdict: Simply one of the best beers in the world, the St. Bernardus Christmas Ale is dark as the richest Belgian chocolate, malty without being too sweet, with a perfect frothy head. At 10% ABV, just one of these will make for a very merry Christmas season. The original article on Paste Magazine can be read by clicking here.